Ebony Adams is currently studying a combined Bachelor of Arts/Bachelor of Law degree at UNE and is the first person in her immediate family to commence tertiary education. Removing the financial and social barriers to a university education has given Ebony the opportunity to achieve academic success. 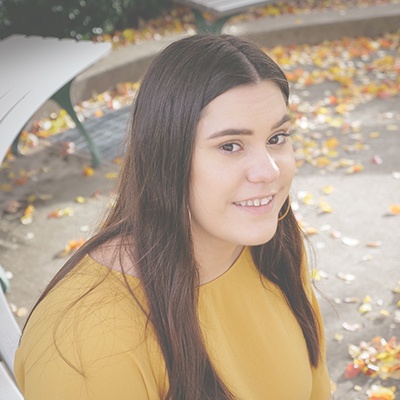 Originally from Inverell, Ebony is a Gomeroi woman by birth and comes from a tight-knit family that has been an unwavering pillar of support for her for as long as she can remember, but particularly when it comes to her education. My family were going into debt to support me and make sure I was able to continue my studies. It’s difficult to adapt to university life… It was so hard moving away from home and not being with my support network and suddenly having to deal with financial responsibilities, it was a huge shock. As the recipient of the Essential Energy Scholarship, Ebony will receive financial support for the duration of her degree and will have the opportunity to take up an industry work placement. “When I found out I got the scholarship, I cried. It was on my birthday and it was such a huge relief. I’m working six days a week at the moment so that I can fund myself and still do my law studies. In addition to her studies, Ebony also plays volleyball every Monday night with a group of Indigenous students that live in the community. The impact of the scholarship is having a profound influence not only on her education but on other aspects of life. Of course this kind of financial support helps with things like textbooks, but it really means I can put extra towards my rent expenses, cut down on work, and focus more on why I’m here – my education – and it means I can excel. Giving to scholarships & fellowships means you get to help shape the future of students like Ebony. Make a contribution today and play a significant role in the journey of our students.